Cowboy king Johnny Mack Brown became the first name in rip-roaring oaters while riding high for Monogram Pictures in the mid-forties, retiring the beloved Nevada Jack persona (but thankfully keeping the sidekick, Raymond Hatton) to eventually embrace battling the bad guys under the moniker Johnny Mack Brown. 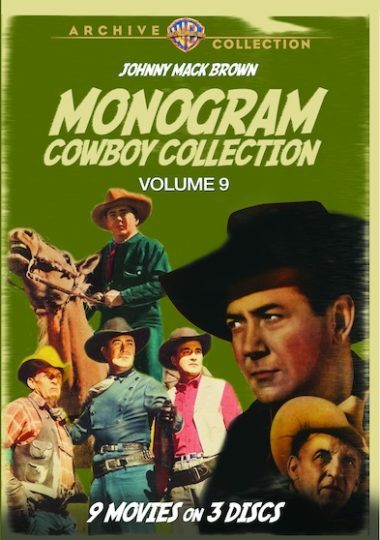 The nine nickel-plated six shooter sagas contained in this collection cover this transition as Johnny plays a succession of character variations on his own name (Johnny Macklin, Johnny Mack, Johnny Mackey) before finally saddling up as Johnny Mack Brown! Nine Full-Length movies in this set.